I have come to love the iPhone for street photography. Working on my presentations for upcoming talks in The Royal Photographic Society of Thailand and Jakarta, I have been looking back at my photographic journey, focussing particularly on street images. The shot below was a difficult shot to get. Picture the scene. 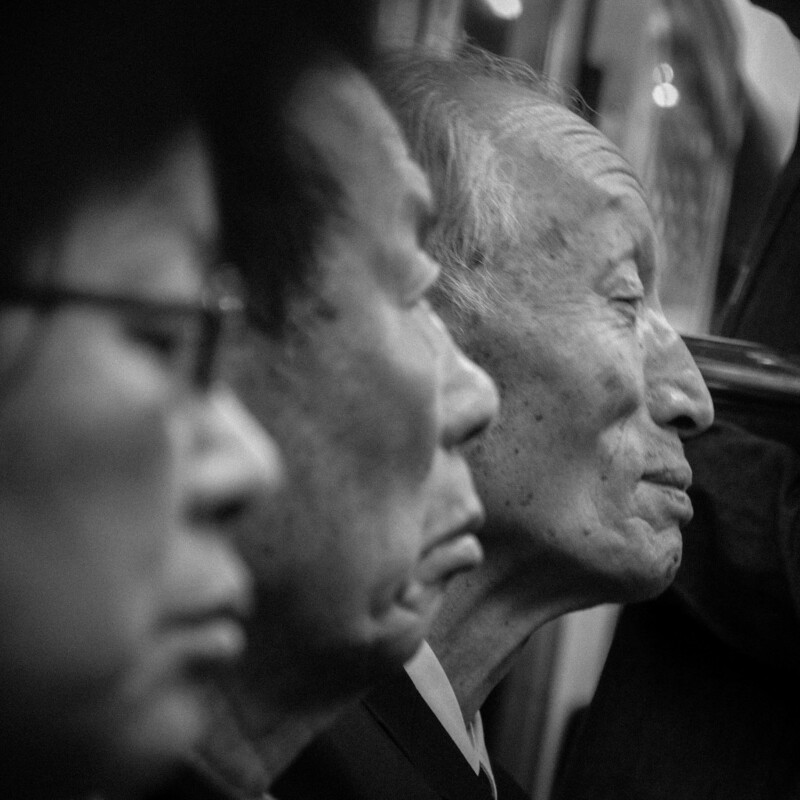 I was on a crowded subway train in Korea’s third city: Daegu. It was summer and it was hot and I had nowhere to sit. The Nikon DSLR was swinging from my neck as I tried to find a secure place to stand. As I was doing this, I was struck by the calm exuding from this elderly gentleman sitting to the right of me. Instinctively, I knew I had to make the photograph. Directly in front of me was this woman who scowled at me when I hoisted the DSLR to frame the shot. The train bobbed from side to side as I tried to compose. Each time the camera slipped from my face I could see her glaring at me. With one hand on the overhead railing and the other on the camera; one eye peering into the viewfinder and the other shut tightly, I shot off a few frames. I got the shot, but it was challenging. Contrast this with the iPhone and it would all have been done with ease and without intrusion. Another reason why I believe the iPhone is the best camera there is for street photography. This entry was posted in iPhone, iPhone photography, photograph posts, Street Photography and tagged Brendan Ó Sé, Brendan Ó Sé iPhone street photography, Brendan Ó Sé photography, Daegu, iPhone, iPhone Street Photography, Jakarta, Monogram Asia, street photography, The Royal Photographic Society of Thailand.